When you have compassion for animals, it's natural to want to help and support the organizations that help and support pets. In fact, Charity Navigator estimates that Americans donate almost $7.9 billion to animal and environmental causes annually. However, an additional $1.5 billion goes to those same causes each year through bequests from a last will or trust, illustrating that charitable giving can continue on even after you pass away. This type of philanthropy is called "Planned Giving," and it is a solution that can put your compassion to work and keep your legacy and love for animals living on. According to Harvard Law School, planned giving allows you to make a charitable gift by leaving money for pet rescue and animal shelters in your last will or trust while addressing other fiscal and estate planning concerns. Leaving part of your legacy for homeless pets and pet rescue organizations may offer tax benefits in addition to demonstrating your feelings of social responsibility, and expressing your confidence in the organization and its endeavors. Furthermore, estate planning donations can take many forms and be funded through numerous sources. Bequests and donations to animal care causes are charitable contributions that reduce the size of your estate. So, not only can your contribution be considered tax-exempt but it also can result in reduced estate taxes. Plus, IRS accredited charities that are animal rescue and animal shelter organizations aren't subject to taxation, so they won't pay taxes on the money you leave them. Planned giving through a Charitable Remainder Trust (CRT) is another tax-saving approach. Money can be contributed to a CRT or, alternatively, appreciated stocks, bonds and real estatebonds or stocks can be transferred to the trust. Appreciated property can then be sold without being taxed for capital gains once they're in the trust--the first tax savings. The money in the Charitable Remainder Trust can be invested to create a stream of income, and a portion can be used annually as supplemental income for you or your spouse or for another purpose you choose, such as purchasing a life insurance policy or funding a retirement plan. Also, a portion of the total amount in the trust is earmarked to be distributed to your chosen pet charity when the trust terminates, typically when you pass away. That's where the second tax savings of the Charitable Remainder Trust comes in. You'll get an income tax deduction that's calculated using the amount of the trust that will be going to your designated animal care cause. Part of planned giving involves deciding what type of gift you want to give. Cash is always an option, and you'll need to specify the amount and the source from which it is coming, as well as naming the animal charity or charities that you want to give to. You can also choose to gift either the entire amount in an account or only a portion of it, listing either a specific dollar amount or percentage of the balance at the time of your passing. Additionally, you can place a limit on the amount that goes to your chosen pet charity. For example, you could state in your last will that you wish to leave the money remaining in your savings account to a certain animal shelter, but that the gift should not exceed more than $20,000. When you make a bequest, you'll be leaving money for pet rescue and animal shelters in your last will or trust. You'll literally name your chosen organization(s) in the legal document as a beneficiary of a specified amount of money or certain assets, such as jewelry, art, or other valuables. The Marin Humane Society in California even encourages benefactors to donate their cars as part of estate planning donations. Another strategy for leaving a part of your legacy for homeless pets and animal care organizations is to designate the pet charity as the beneficiary of a bank account or securities funds. All you need to do is list the name of the animal charity as the beneficiary of the account or fund documents, and they will go directly to your specified charity when you pass away without having to go through probate. Alternatively, if your state allows it, you can complete a special form from your financial institution that applies specifically to securities and bank accounts. 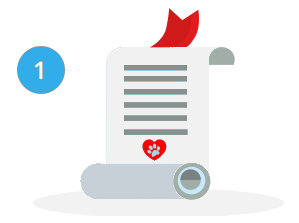 Known as "Pay on Death" or "Transfer Upon Death" forms, these documents allow your financial institution to pass the proceeds of those accounts directly to your designated pet charity when you pass away. Your life insurance is a valuable planned giving tool, too. 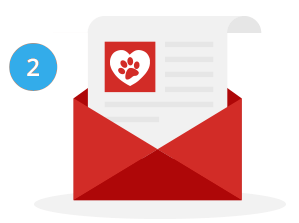 There are three ways to benefit pet charities using a life insurance policy. First, you could list a deserving pet organization as the beneficiary of an existing policy, indicating whether you wish the charity to receive a certain percentage or all of the policy proceeds. Second, any paid-up life insurance policy that you may no longer have a need for can be assigned to the pet charity of your choice. This option will provide you with an income tax deduction while you are still living. The third way to leave money to an animal shelter or pet rescue organization is to purchase a new life insurance policy and list the charity as the owner. This option, too, offers tax benefits as the premiums you pay may be tax deductible. Gifting your retirement, annuity or pension fund is another sensible and smart way of leaving a part of your legacy for homeless pets and animal causes. These types of accounts are tax-deferred so, if you pass away with money still in them, your estate will increase by the value of the account and your heirs will be required to pay taxes on that money. If you fill out a beneficiary account form listing an animal charity as the beneficiary of your retirement account, annuity or pension, however, the amount remaining at the time of your passing will go directly to the worthy cause of your choice without affecting the value of your estate. Plus, because it's going to a non-profit organization, the distribution will be tax-free. One more option for estate planning donations is to leave your home or other type of real estate to an animal care organization. If you want to gift your home to an animal charity, some have programs in place that allow you to do so while you are still living. These plans are called Retained Life Estates, and they allow you to continue to live at the residence and use the property until you pass away, at which time the charity will sell your home and use the proceeds for their mission and charitable purposes. This option is another one that offers tax benefits. If you gift your property instead of leaving money for pet rescue and animal shelters in your last will or trust, the size of your estate will be reduced by the value of the property so the estate taxes will be reduced. Giving your home while you are living still reduces the size of your estate so the estate tax benefits will apply, but you'll also benefit by being able to claim a substantial income tax deduction for contributing to charity. You'll also want to include as part of the bequest in the will or trust that the organization is a 501C(3) non-profit organization, existing under the laws of the state in which it was formed. 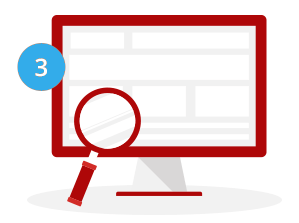 Generally, all the information you need can be found on the website of your favorite charity. Essentially, how to donate money to animal shelters and pet rescue organizations involves being specific about the gift being given as well as listing detailed information about the charitable organization the estate planning donations will go to. Of course, estate planning also includes providing for your pets today and in the event of your death. If you're leaving money for pet rescue and animal shelters in your last will or trust, you can also name the charity as a pet guardian and stipulate that all or part of the funds are to go toward your pet's care in the event you pass away. Typically pet parents choose no-kill shelters or animal retirement centers for these purposes, as their focus is on caring for pets on a long-term or perpetual basis. If you would like to set up planned giving that involves your pet's future care, a PetWill pet trust is a comprehensive, affordable way to name a guardian or caregiver for your pets and set aside money for their future care. With no hidden costs or ongoing monthly charges, a one-time fee is all it takes to ensure your pets are cared for if you cannot take care of them yourself. When the purpose of the trust is complete, your favorite animal organization can receive any remaining PetWill pet trust funds. Estate planning, especially charitable giving, has lots of moving parts. We recommend consulting with a qualified legal professional for the creation of Charitable Remainder Trusts, Charitable Lead Trusts and other planned giving strategies.